Help us restock the Heartland food pantry and diaper bin! You can help us feed those in need in our community. Food donations are accepted and needed year round. Diaper donations are used for families using the pantry and families receiving urgent placement foster kids. All sizes of diapers are needed. 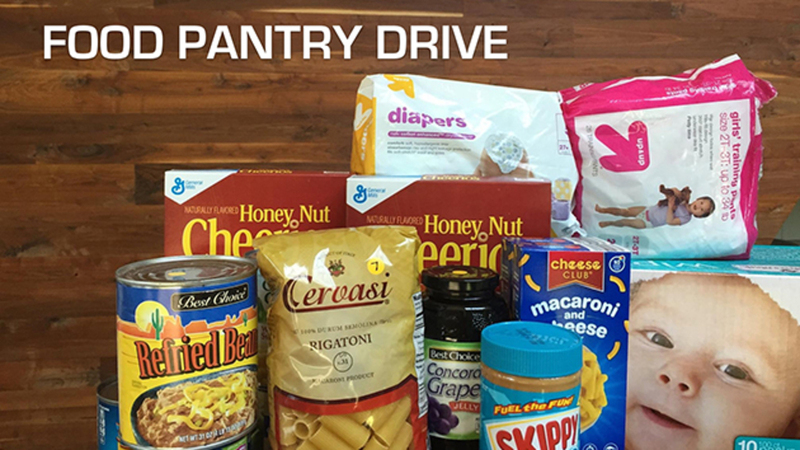 Purchase any items from this Food Pantry List and drop them off inside any Heartland entrance in the collection bins during the 9:00, 11:00 am or 5:00 pm services. Thanks for being arrows out with us! Sundays at 9AM, 11AM, and 5PM.